I came across an interesting article about the development of specialized servicing vessels for Beriev A-40 jet flying boats. Here is the source (in Russian) and below is my partial translation (I left out some unrelated things but feel free to ask me if you want something translated). 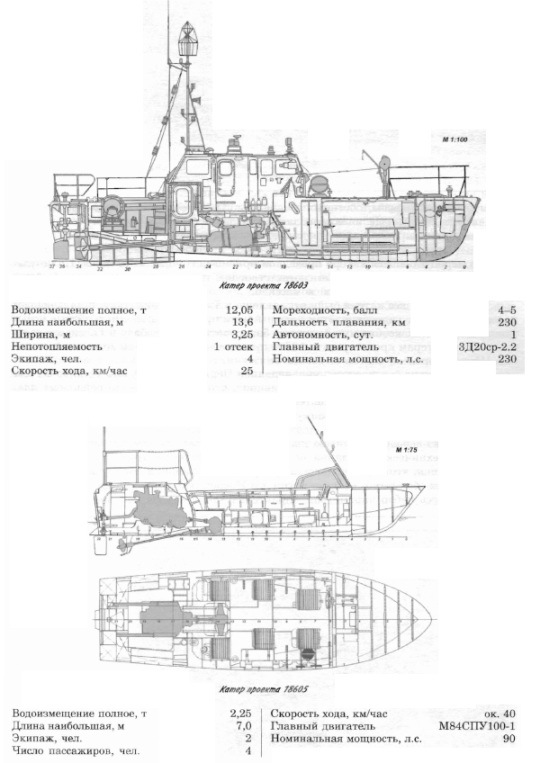 In the early 1980's when the Beriev Design Bureau started working on the jet flying boat A-40 "Albatross" they also ordered a set of specialized servicing vessels collectively dubbed "Burevestnik" (Russian for "petrel"). The first one to be completed in 1984 was the Project 18605 (crew boat). It was light, had inflatable fenders and a gasoline engine. It was meant for auxiliary functions, such as attaching a towing line to the flying boat, removing debris from the landing waterway, crew transportation and assisting rescue. Next, finished in June of 1985, was the Project 18603 (towing). It had a winch and other towing gear on the stern. Then in March of 1986 the Project 18602 (rescue) was completed. Visually it was very similar to the base Project 396 but had some internal modifications in order to accommodate 8 flying boat crew members, even if they were wearing bulky winter clothes. It had a 5 person rescue team on board, various rescue gear (including scubas and inflatable gangway) and medical equipment. In addition, this vessel could be used for day-and-night visual control of the landing waterway and landing markings, for which it was equipped with a radar, searchlights and light signals. The command and control vessel (Project 18601) was finished in June of 1986 and its main difference from the base boat (Project 396) was the little "tower" for the flight coordinator. This vessel was esentially a mobile control tower (in addition to the actual land-based control tower) providing real-time information about the weather conditions to the flying boats. 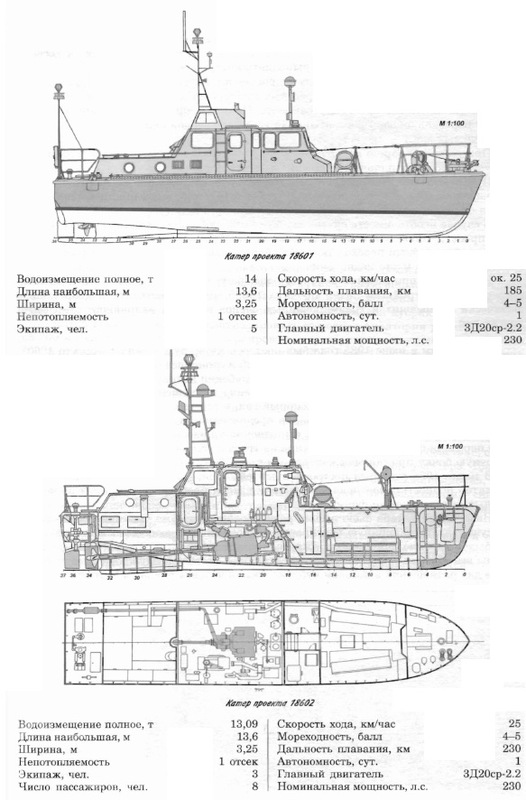 In June of 1986 the firefighting vessel (Project 18604) was completed. It was a basic firefighting boat with some additional features, such as "water curtain" that shielded the crew from heat when approaching a burning aircraft. The complex trials of these vessels alongside the aircraft started in March of 1990 but due to the collapse of Soviet Union in 1991 they never got completed and neither A-40 nor the servicing vessels were adopted by any military branch. However, the rescue vessel (Project 18602) aroused some interest from Russian Border Service (Coast Guard essentially) thanks to its multipurpose nature and numerous upgrades. They placed an order but could not procure financal support for it so the two completed vessels were transferred to Russian Customs Service.